While watching endless a few YouTube videos about mixed media and crafting recently, one video really stood out. 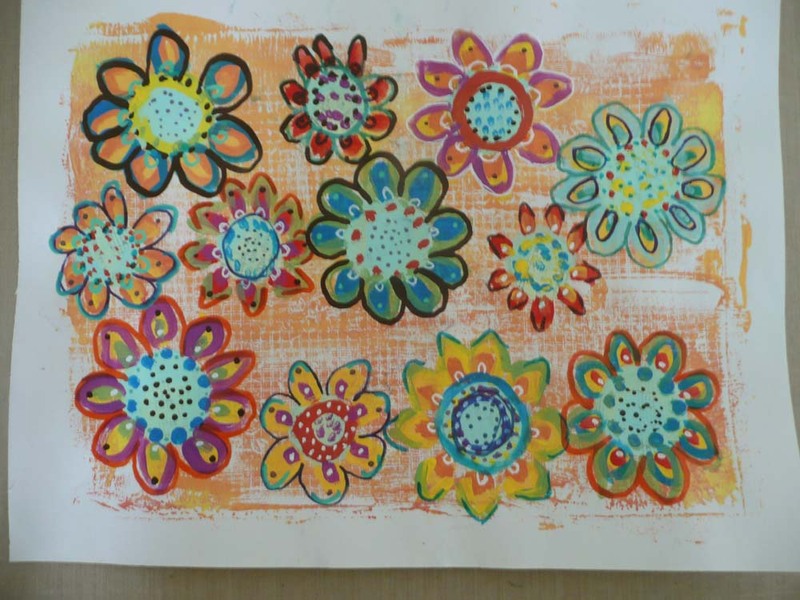 It addressed the issue of using up gelli print papers, particularly ones you don’t care for. 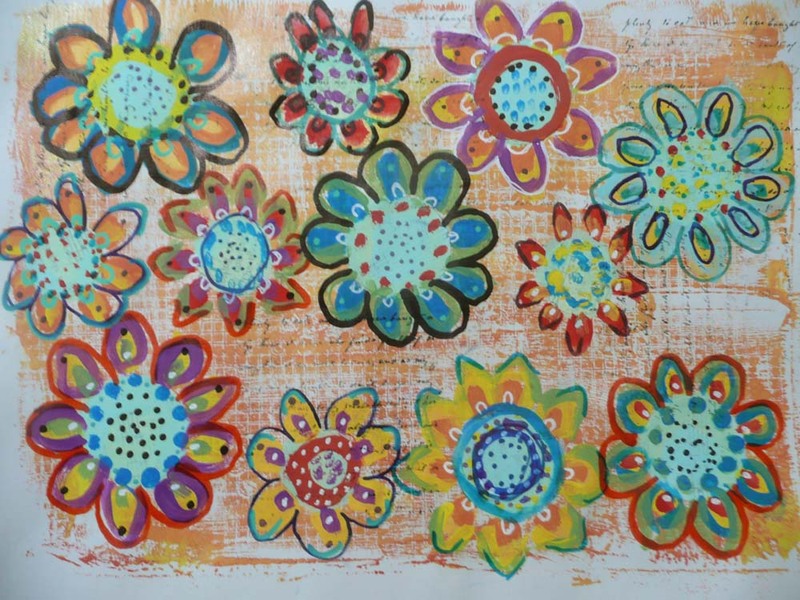 As it so happens, I had just made a batch of prints using a piece of glass instead of a gelli plate. 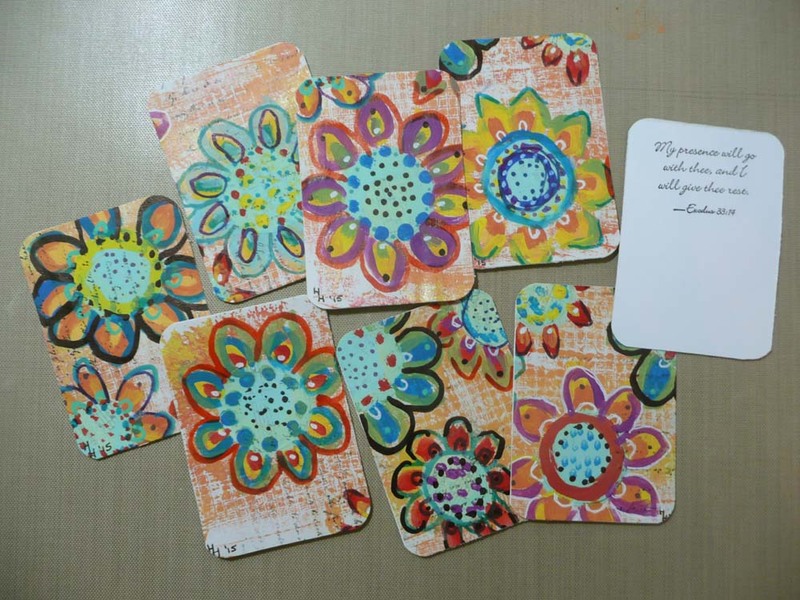 She cut the finished papers into ATC sized cards to give out as a type of business card. Because I have my brick and mortar shop, an Etsy shop and do shows there is no way I can make enough to use as business cards. I really wanted to make some so I came up with another use for them. 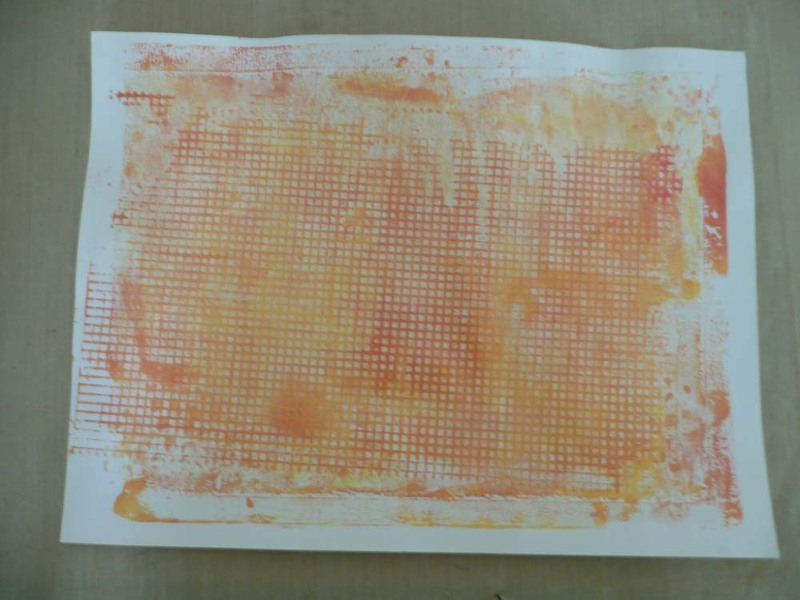 I started with a “gelli” printed paper. I punched two sizes of circles from various papers and glued them randomly on the paper. 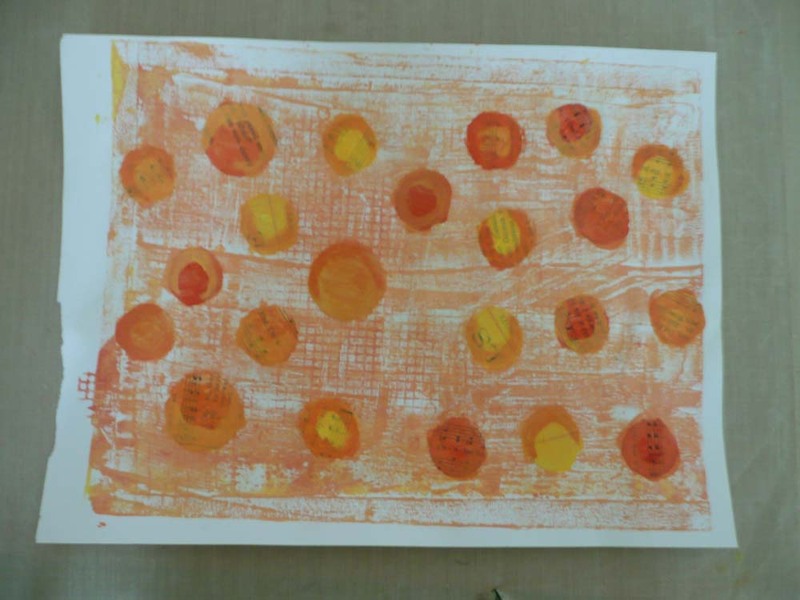 Then I painted the circles with a few colors of paint. 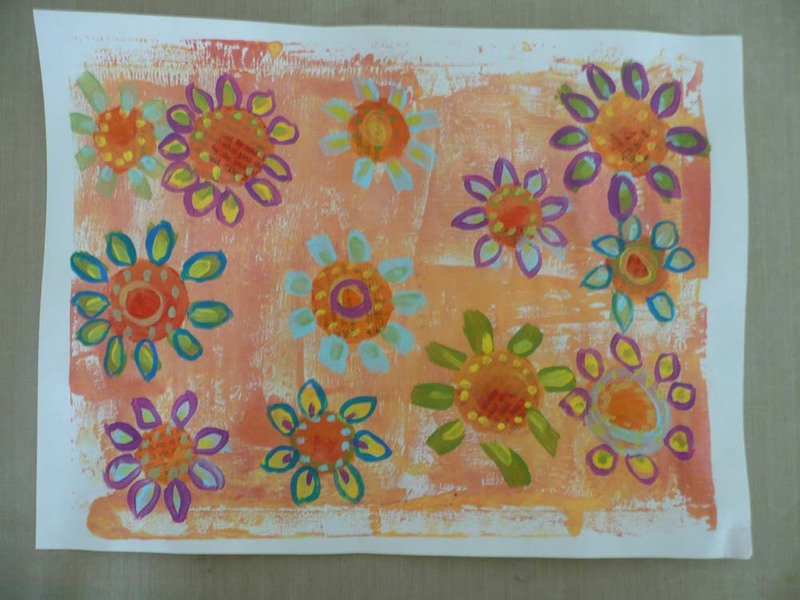 I painted petals, dots, swirls and a few outlines around the circles using a couple bright colors. Next I used darker paints, Sharpie markers, Faber-Castell big brush pitt pens and a white gel pen to do some more outlining and adding smaller details. Because my flowers were not really close to each other, I filled the gaps by using a script stamp and black Staz-On ink. Lastly, I cut them into ATC sized cards (2 1/2″ x 3 1/2″), backed them with white card stock, signed them and then rounded the corners. Instead of putting my business information on the back I stamped them with special Scripture verses that I can give to people who may need a pick-me-up. They can even be used as book marks or tags. Like katetheskate22 did, I made sure I left room to write a personal message if I want. I love the way these came out and the process was pure art play. You do not have to be an artist to make some cute cards that are bound to add a special little touch to someone’s day. I can’t wait to hand these out and then make more! So cool! I’ll have to try that!! Grace, it was so fun to do and requires absolutely no talent to get great results! Best Ever $5.00 Yard Sale Find!